According to industry experts, there are over 33 physical problems that will come under scrutiny during a Survey or Home Report Inspection before or after your home is marketed ‘For Sale’. A new report has been prepared which identifies the most common of these problems, and what you should know about them before you list your home ‘For Sale’. Whether you own an old home or a brand new one, there are a number of things that can fall short of requirements during an Inspection. If not identified and dealt with, any of these 11 items could cost you dearly in terms of value. That’s why it’s critical that you read this report before you list your home. If you wait until the surveyor flags these issues for you, you will almost certainly experience costly delays in the marketing of your home, the sale or, worse, turn prospective buyers away altogether. To help homesellers deal with this issue before their home is listed, a FREE report entitled “11 Things You Need to Know to Pass Your Survey or Home Report Inspection” has been compiled which explains the issues involved. 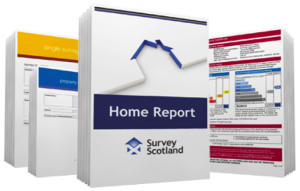 Order this report NOW to learn how to ensure a Survey or Home Report doesn’t cost you the sale of your home.